Musical Director to The New Choral Singers since January 2017, Mauro Farrugia was born in May 1989 into a highly talented musical family. From a very young age, he showed a keen interest in his rich musical surroundings. Beginning with his first music lessons from his father, Alfred, he went on to obtain a First Class Bachelor of Arts (Honours) Degree in Music Composition (Melitensis, May 2011). During the final year of this degree, Mauro was selected to attend a symposium on Contemporary Mediterranean Music at the Conservatorio Antonio Scontrino in Trapani, Sicily (March 2011). In May 2012 (Melitensis), he finished reading a pedagogic Postgraduate Certificate in the Education of Music Studies (P.G.C.E.) 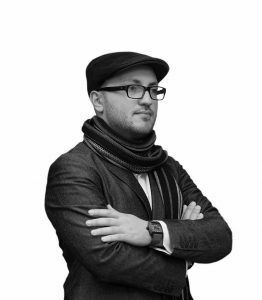 He is now a graduate composer, orchestrator, conductor, educator, freelance trombone and euphonium player, and chorister, deeply involved in the classical, choral, contemporary, chamber, jazz, pop, and ska music scenes of his native island, Malta. 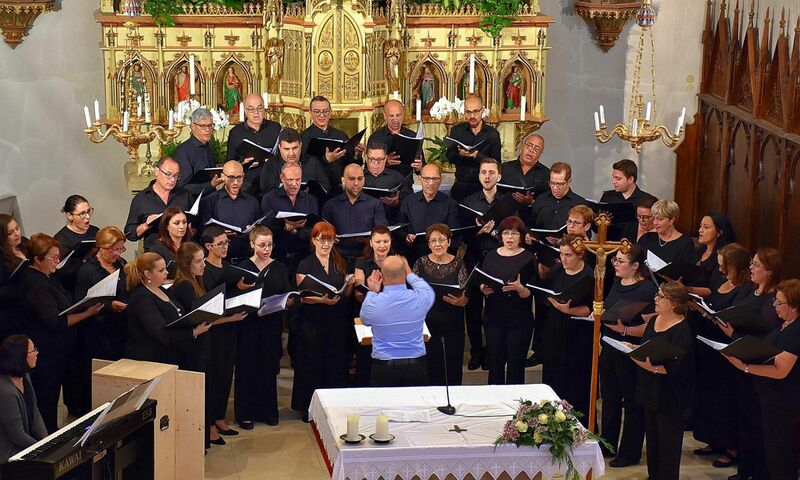 Currently, Mauro is a full-time regular music teacher with the Maltese Department of Education and holds the position of director of music with The New Choral Singers. He is also the assistant musical director of the Queen Victoria Concert Band of Żurrieq, and in addition works as a coordinator and main tutor of the Queen Victoria School of Music, in the same town. As a composer, Mauro is emerging as one of the leading talents in Malta. His works have been internationally acclaimed and have won prestigious competitions such as the Orchestral Masters Vol. 2. This competition granted him a publishing deal with ABLAZE Records (U.S.A.) as a result of which his works are being distributed internationally through iTunes and Amazon online, via television, radio and magazine in America, Canada, Australia and the United Kingdom. His compositions are performed on a regular basis by many and varied groups of musicians, including the BRNO Philharmonic (Czech Republic), Malta Philharmonic Orchestra (MPO), The New Choral Singers, Big Band Brothers (BBB), Malta Association for Contemporary Music (MACM), CrossBones Trombone Quartet, The Rifffs, Queen Victoria Band, and the King’s Own Band. His works are also performed by internationally renowned freelance artists such as Gjorgi Cincievski, Tricia Dawn Williams and Aulos Duo to name but a few. Mauro’s interest in orchestral, choral, concert band, chamber, solo and vocal works is reflected in the wide variety of musical styles in which his music is written. This virtuosity has led to Mauro’s music being featured in the Orchestral Masters Vol.2 (2014), Stage & Screen (2018), and many major Maltese musical events including the International Spring Orchestra Festival (2013), Malta Arts Festival (BBB, 2014, 2013, 2012, 2011), Independence Day Concert (MPO, 2011), Young Composer’s Concert (MPO, 2011), Rockestra (MPO, 2012, 2011) and Contemporary Music & Children (MACM, 2011). As a performer, Mauro has performed in many prestigious locations including all major Maltese auditoria, The Royal Albert Hall, London, The London Olympics, Festivals in Berlin and the Czech Republic, Conservatories in Trapani, Heidelberg and Pisa and in Istanbul. Mauro is a hard-working and busy professional musician as is evidenced by his current commitments. Mauro has been engaged as a freelance Bass Trombonist with the Malta Youth Orchestra since 2011, the Big Band Brothers since May 2009 and on part-time basis with the Malta Philharmonic Orchestra since 2012, where he has had the opportunity to perform under the baton of world-class conductors and composers such as Karl Jenkins, Wayne Marshall, Steve Mercurio, and Peter Stark. Mauro has also held the position of principal trombone with CrossWalk since September 2011. He has been the principal Euphonium player with the Queen Victoria Band since July 1998 and various other local concert bands. As a chorister, he has been part of the MPO Chorus, Mediterranean Voices, Collegium Musicum, and University Vocal Ensemble.